Look fast, because this may be the last beauty-related WFMW tip you will ever, ever read at this blog. Most days, I'm doing well to remember to use shampoo. You can get to all your eyelashes much more easily this way, and you won't accidentally dab the side of your face with the stick while you apply it. 78. Kirsty @ Momedy Responsibility/Chore/Allowance system which really works! 310. Lynne (Supermarket Shopping List for kids) Keep your sanity while shopping! Well, aren't you clever? :) Great tip! Nice! 'Cause I usually end up looking like a spotted leopard by the time I'm done. Not so good with the mascara! Great tip! I need new mascara...pink eye! YUK! I completely feel your pain about the chair...send one over here, please. That's an awesome tip...I'll have to try it. By the way I listened to your podcast today and it was great! Thank you for taking your time to to share all of your insightful info (from your daughter's closte)! And to think I almost did a WWFM on mascara as well!! I just joined the WFMW for hte first time. Sorry, I thought there was going to be another box for the tip title. I screwed up something that simple!!! Enjoyed listening to you today. You are a great speaker actually and you have a delightfully sweet voice! Good grief, Shannon...that's BRILLIANT in its simplicity. Did you do it the first time by accident??? What a fantastic tip! That's perfect! Does it go back in the tube correctly? You know what? You might just be on to something there! I have never thought of doing that - but there's a little bit of brilliance in that idea. Long time reader, first time WFMW poster!!!! Hee Hee Hee!!! I'm feeling giddy! How could I have forgotten this? I did it all through the eighties to highlight my 5 colors of eye shadow I so painstakenly applied every morning! I own a mascara thingie. It's orange, I distinctly remember that it's orange. And I think it's in the bathroom somewhere, probably buried under all the bad aftershave Tim gets for Christmas every year from his mother. If I can find it, I'm going to bend it! If it's not already bent by circumstance, that is. Will I be seeing you in a few days? I'm, you know, kind of counting on it. I too bend my mascara brush..it works great! This is great! I'm so tired of getting black "war paint" at the corners of my eyes all the time! They charge $2-$20 extra for bending those wands...thanks for the tip. I manage to avoid mascara with great skill :) I probably wear it twice per year. Wait, is this post for Wednesday the 16th? Dang you all are fast. Its barely past midnight here. Awesome! I;m going to have to remember that one! That's a very smart tip! Have you tried the new Cover Girl lashBlast masacara? It comes in a big fat orange tube and is the BEST drugstore mascara I've ever used, period. It's so similar to Lancome, but a third of the price! Next time I find myself wearing mascara I'll have to remember this.. At least I'll try to remember this since next time could very well be years from now. I would never have thought about that. Thanks for the tip. cool idea - if I could put the stuff on without stabbing myself in the eyes that would be cool too! Thanks for sharing and thanks for hosting WFMW - I'm having the BEST time! I will have to try that, although I would be worried it would snap off. Great tip! I'm bending my wand today! I forgot to add the WFMW banner to my post on Homemade Mac & Cheese - sorry! I love mascara! And lipstick. I can't survive without either. I put it on even when no one's around to see me, because it just makes me feel happy! Cool! I'll have to try that. Always looking for some better way to have great lashes. So clever and obvious. Well not to ME persay....but to YOU! That is an awesome tip. I will be doing this soon, as I need a new mascara. I also made my first WFMW post. SO excited! Do not pump the brush in & out of the tube. It shoves air in the tube and dries out your masacara. Instead swirl it round & round. Also, mascara contains an additive that can kill most of the germs that are put in it from the eye, but those additives only last 3 months. I don't wear mascara anymore...but if I did, this is a great idea. I remember buying mascara that purposefully had bent heads because, yes, they were easier! Great idea! I never thought of that! Thanks! I am here at 9 in the morning and already you have 215 tips! I'm new to this thing, but what time does everyone start posting? I gotta say, I look forward every Wednesday to see what you girls have to say. You're all awesome! My (current) mascara has a curved brush and I like to use it backwards (so the curve doesn't follow the curve of my eye) to control the application. I think that's the same principle. THAT is a great idea. Never heard of it before, thanks! Good tip! I also wipe the wand with tissue before applying. No clumps! Well, this is my first time to join in. Looks like fun. I've been using Maybelline Define a Lash...the brush part of the wand is flexible. I love it! I'll definitely have to try that one!! Ha! So simple and soooo perfect! Great one. Now that is one clever idea! I'll have to try it..thanks! Great idea. I've bought alot of mascara and realized that it didn't have the bent wand that I like so much. Great Tip. That is a GREAT idea Shannon! Thanks! 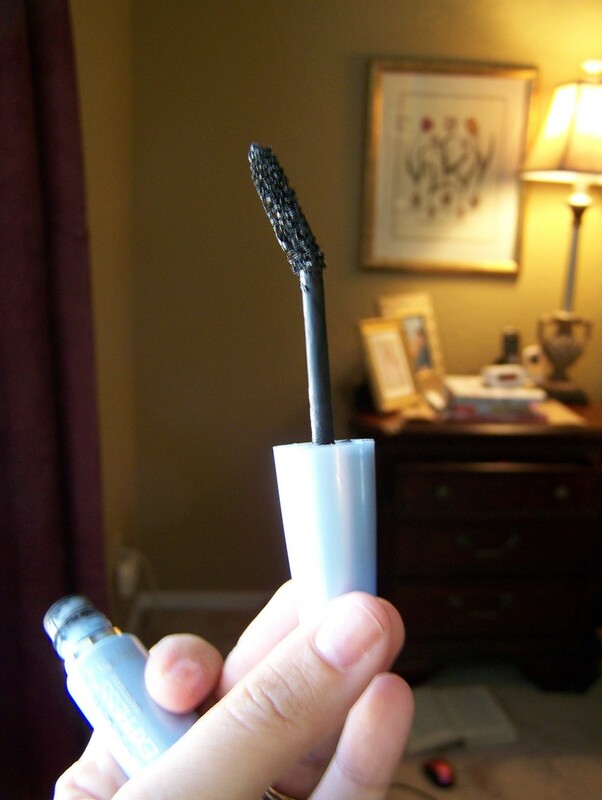 Great tip with the mascara! It can be a battle to keep from dotting my face with black, so I'll have to try this! Not to be stupid, but when you're applying, will the wand by coming toward you or running away? Having used a straight wand forever, I can't see how either angle would make things easier. Great tip. I never would have thought of that! 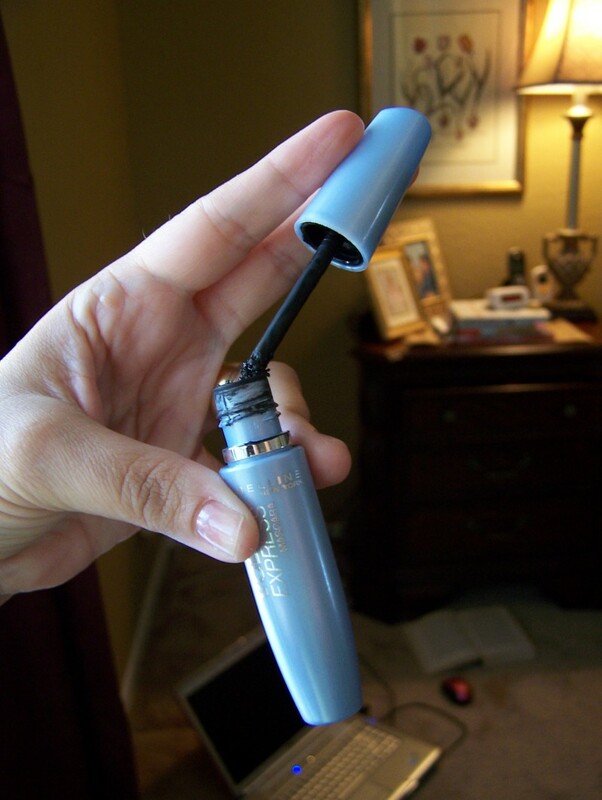 Don't bend too hard, though, or you could end up with a broken mascara wand. And is a million times HARDER to use. Hah! I pride myself on the fact that I am an ambidextrous mascara-putter-onner. I'm just that good. I bet nobody else can top that! Random question: how do I keep my eyelashes from getting caught in my eyelash curler? The lashes on the edge get wedged in and sometimes stick between the rubber pad and the edge. Once they're stuck, only thing to do is rip 'em out...oh, God in heaven, how that hurts! if I ever get out the mascara again! Great post--thanks for hosting this! What a great idea - I just opened a new mascara today - I'll try this tomorrow - thanks for the timely tip! Well aren't you just brilliant! :) Thanks for the tip!! Great tip...wonder why I didn't think of that?? 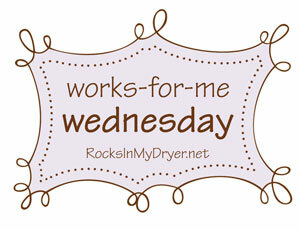 : ) I just posted my first WFMW tip and I'm excited to be a part of this awesome group of bloggers! Your one-handed skillz are AMAZEEEEEEEEENG! For as little as I wear makeup, mascara is the one thing I usually do make an effort to put on! I'm going to remember this tip! 'kay that is GENIUS! I tried it and it has brought the joy back into my makeup routine. Thank you! !